High-performing features combined with versatile trunking capabilities make the CDM1550•LS+™ the smart choice to keep mobile work teams performing at their best. 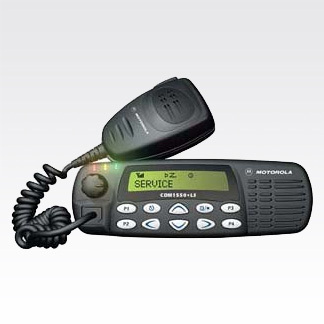 The Motorola CDM1550•LS+™ Mobile Two Way Radio incorporates UHF LTR® trunking capabilities — offering you wider calling range, faster channel access, greater privacy and higher user and talkgroup capacity — as well as innovative PassPort® trunking. Ideal for users with growing communication needs.